NYC Health + Hospitals/Metropolitan announced today its receipt of an ‘A’ grade for patient safety from The Leapfrog Group, a national patient safety watchdog. Issued twice a year, Leapfrog’s Hospital Safety Grades are assigned to hospitals across the country based on performance in preventing medical errors, infections, and other harms among patients in their care. 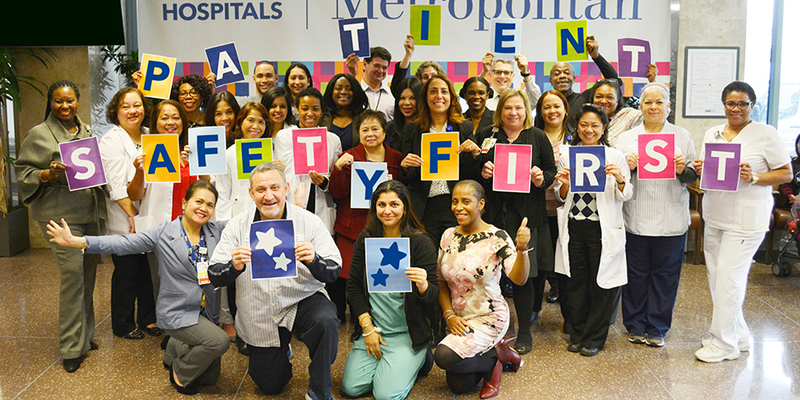 NYC Health + Hospitals/Metropolitan was awarded an ‘A’ for its efforts in protecting patients from harm and meeting the highest safety standards in the U.S.
NYC Health + Hospitals/Metropolitan was the only hospital in Manhattan to receive an ‘A’ grade. It was one of only two hospitals in New York City and twelve in the state to receive the highest designation. NYC Health + Hospitals/Metropolitan also received an ‘A’ in the spring 2018 cycle and was awarded the highest safety score for any hospital in Manhattan in 2017. The Leapfrog Group is the only independent ratings program that focuses solely on how effectively hospitals keep their patients safe. Developed under the guidance of a National Expert Panel, the Leapfrog Hospital Safety Grades use 28 measures of publicly available hospital safety data to assign grades to more than 2,600 U.S. hospitals twice per year. The Hospital Safety Grades’ methodology is peer-reviewed and fully transparent, and the results are free to the public. To see NYC Health + Hospitals/Metropolitan’s full grade and to access consumer-friendly patient tips for staying safe in the hospital, visit www.hospitalsafetygrade.org. NYC Health + Hospitals/Metropolitan is the community hospital of choice for residents of East Harlem, northern Manhattan and neighboring communities. The hospital provides culturally-sensitive care in a welcoming and hospitable setting, emphasizing primary care medicine and utilizing the latest advances in medical science. It is part of NYC Health + Hospitals, the largest municipal hospital and health care system in the country. For more information, please visit www.nychealthandhospitals.org/metropolitan.